Above all, you want to make your wedding day memorable. The Heights Event Center is the perfect venue to celebrate your special day with family and friends. And with over 7,000 square feet of banquet space, we can hold up to 550 guests, making us one of the largest venues in the Madison area. 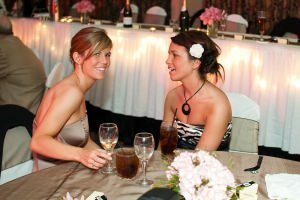 We can also be intimate enough to host smaller events, such as bridal showers and rehearsal dinners. We understand that planning a wedding can be both exciting and challenging. That’s why we provide you with an event planner and the support staff you’ll need to make your day a success. Our culinary staff will work with you to customize menu options and other special arrangements to suit your unique tastes. 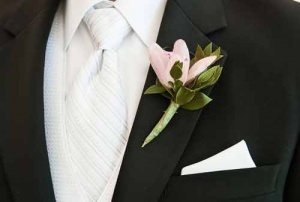 We pride ourselves on being a full service event center for individuals that want their wedding reception planned and executed by a professional, experienced staff. The Heights is dedicated to help brides and grooms have the wedding of their choosing. The freedom we provide is what sets The Heights apart. Within minutes of Verona and Madison, we are the ideal location for your wedding. Our services include a state of the art audio system with wireless microphone and high speed wireless internet access. Our catering consultants will provide you and your guests the ultimate in fine service. Along with the freedom to choose your time frame, caterer, and decorations, you can choose any entertainment you would like. With our amazing sound system you can create a playlist that fits your style and simply play it on your MP3 (iPod) or CD.